Though the architecture of its central district is unchanged since the 1700s, Amsterdam is one of the most modern cities of Europe in terms of its lifestyles and public policies. 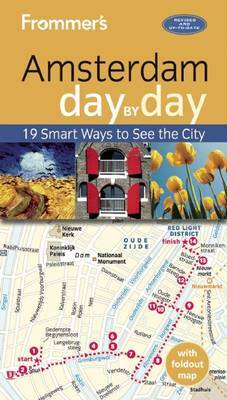 This 184-page Day by Day Guide, profusely illustrated with four-color photos and maps, carefully guides you to the most absorbing, the most revealing, of the city's attractions. While its main emphasis is on wisely allocating your time in Amsterdam (day by day itineraries), the book otherwise deals with practicalities: hotels, meals, museums, shops and nightlife.